Quick ways to lose weight usually involve a protocol that can be harmful to your system. Sensible and progressive fat loss is actually the way to go. "Quick ways to lose weight" is one of the most popular search terms online. The results usually bring up hundreds of sites with seductive content promising you the body of your dreams if you just follow a "secret program." Clever marketers prey on women's emotions to make millions of dollars each year, but never take into account the damage done to women's bodies and their spirit. 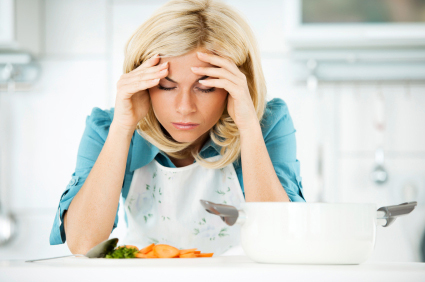 Fast weight loss simply cannot be sustained. The methods utilized literally shock your system. You will definitely lose weight while it is in freefall, but the body always seeks homeostasis. Once it adapts, and levels out, your system will scream, "Save the fat!" and losses will come to a halt. Cravings for high-fat/high-carb/high-calorie foods kick in and many women not only gain back the fat they lost...but ADD even more because of the loss of lean muscle that accompanied the quick weight loss. Women can feel humiliated, angry, and even depressed. Those that start another rapid fat loss plan will find themselves stuck in the clutches of Yo-Yo Dieting. It took time to put on some extra pounds and inches...and it will take both time and focused effort to lose them. Having an irrational sense of immediacy will not help you reach your fat loss goals. It doesn't have to be this way for you. With some simple education about quick weight loss tactics, you will be able to choose a plan that is safe, sensible, and gets proven results. Quick Ways To Lose Weight - Just say NO! Quick weight loss methods usually follow one of these protocols. There is NOTHING remotely healthy about any of them. * Extremely restrictive diet and calorie intake. These come under the hype of "No Carb Diet" or "No Fat Diet"
* Extreme fasting. Fasting is actually good for your system...but NOT when it exceeds 24 consecutive hours. Starvation mode and fasting are two vastly different approaches to weight loss. * Extreme exercise/cardio. In a nutshell, you will never be able to run-off or exercise-off all of the calories needed to lose weight consistently. You have to blend intelligent exercise with intelligent nutrition. * Extreme supplementation. Let's face facts...consuming a bunch of expensive (and basically worthless) supplements will make you feel bloated and will not satiate your appetite. * Laxatives for Weight Loss. The diarrhea that accompanies this strategy will rob you of fluids, minerals, and energy. Plus, you will NOT lose a bit of weight. * Bariatric Surgery. This is very radical. Don't even consider it. I want you to find a nutritional plan that is safe, sensible, and gets results. Please put "quick ways to lose weight" in you rearview mirror. When you make the decision to lose weight, you want to follow an established program that helps you make important and positive changes in your lifelong eating habits so that you can keep fat off forever. 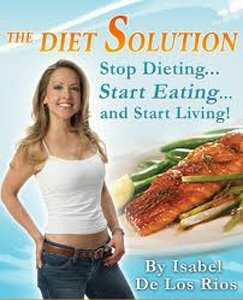 The one I recommend in the Flat Belly Solution by certified nutritionist, Isabel De Los Rios. Also known as The Diet Solution, this eating plan has rocketed to best-seller status because it works. Women's weight loss forums and women's health blogs are filled with Flat Belly Solution Reviews and Flat Belly Solution Testimonials that are positive and full of praise. If you are considering a change in your eating habits, please understand that quick ways to lose weight have consequences that can be truly harmful.